So my only goal when I have to live in Lakewood for the summer is to get in, get back on my feet, and get out of this godforsaken small town with its cutesy cafés and too-nice charm. 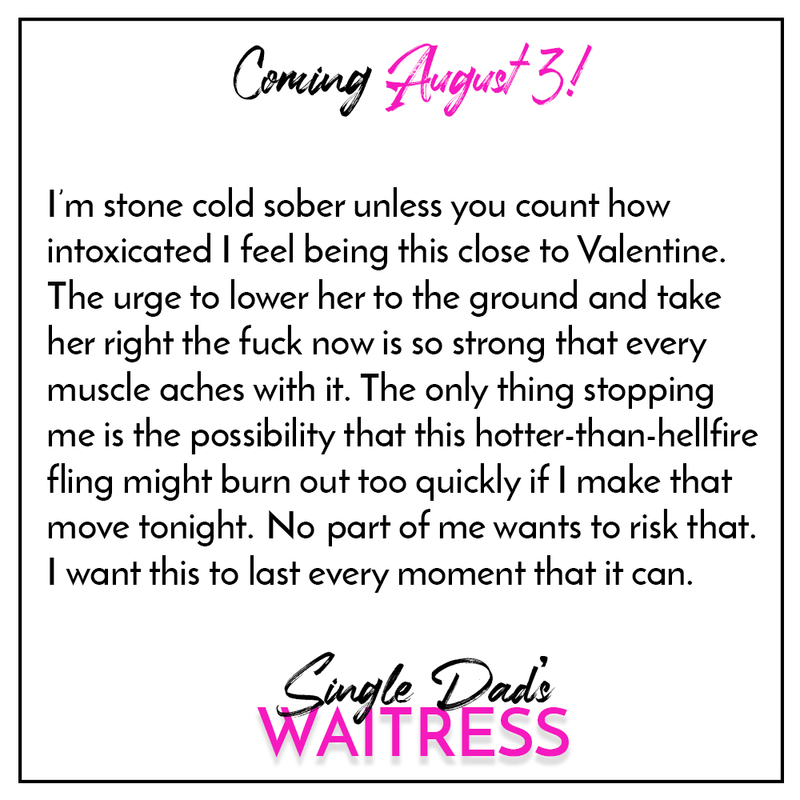 Until I meet Valentine, the waitress at the Short Stack diner. Besides, come fall, I’m leaving this place behind forever. The tension between us has to stop. I just have to get it out of my system, because he’s too hot not to touch, and neither of us needs this. 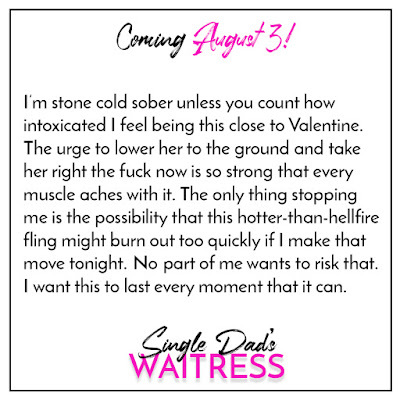 Single Dad’s Waitressis a steamy, sweet single dad romance with adult language, no cheating, laugh-out-loud scenes, and an HEA that will melt your heart.